#nadskai1314: Unhappiness with Orchard Hotel. Sales guy left apparently. No one followed up with my emails despite me e-mailing to said guy AND the catering email. Shouldn't the person leaving the account handover to someone else first? Email sent on 14th June and in July to Catering Group list was not replied. After emailing their director of events, FINALLY someone contacted me on 19th of August, a good two months where my emails was not replied at all. 2. Themes can only be confirmed 1 month before the wedding. I was told that "Usually the selection of themes, wedding favours, table dressing and seat covers will be done about a month prior to your wedding". When prodded to check what are the themes that I can choose from, they couldn't confirm. Personally, I wanted to customise more details, bring in handmade stuff and make it look more "my style" and have a more thematic experience but they said it can only be confirmed a month before as it might be changed. A quick check with other brides showed that Orchard Hotel was 'special' in this case. Most hotels would have 3 themes to choose from. When pressed, the hotel showed some themes despite saying nothing was confirmed umpteenth times. After meeting the florist and talking to the coordinator Oliver, I decided that I do not have any confidence in Orchard Hotel's florist and decided to do away with their whole package and bring in my own florist Mirage Flowers. But seriously, do hotels only allow confirmation 1 month before? During the wedding show, they showed me 3 themes, i find it puzzling why would they say that. I had a few correspondences with the coordinator where I felt the tone was a bit accusing. I showed to my male colleagues and bridesmaids and they thought the same. However I'll have to say, after I pointed this out, he immediately clarified and apologised. 4. Keycard MIAed for 30 minutes. I had stayed over at my hotel the night before the wedding. Instead of having the gatecrash at my place, we decided to have it at the hotel bridal suite instead. Orchard Hotel (incase anyone asks, no i am not sponsored nor given any perks or any discounts. They have given me headaches only) had given me a day's stay at the bridal suite as part of our wedding package. However as check in was only at 2pm on 1st March and I had wanted to have the tea ceremony in the morning + gatecrash, they couldn't guarantee us an early check in. Which we understood. I was asked to pay for an extra half a day's stay if I had wanted the room at 7am. Which I was fine with it. While I stayed over the night before, I had stayed in a superior room with my bridesmaids Fidelis and Jacelyn. Blah blah, stayed overnight, had dinner, chit chatted. Confirmed arrangements with the hotel that the keycard will be sent up to my room at 7am. MUA will need to start on makeup at 7.30am sharp. Woke up bright and early. Prepared etc. 7am came, no key card. Called front office. Said they needed to check. Staff came up, refused to give key card. Called again. Staff came up, checked bridal suite, walked around. Not giving us key card. After multiple calls and clarifications, key card was only given at 7.30am. By then my mua, my bridesmaids and I was waiting for them for the longest time. Lack of communication maybe? But I had already checked in, room was under my name, MY belongings was placed in the room the night before. And yet this happened. That was just the first screw up on the actual day. Poor Elaine had to deal with rude service when she was asking to go up to the bridal suite. The staff even ignored and turned her back on her! During the tea ceremony, a male housekeeping staff came up to deliver some fruits. When the bridesmaids told him that he can't enter due to the tea ceremony, he gave attitude to them and even asked them rudely 'THEN HOW?!'. Wow. just wow. Didn't know my bridesmaids had to deal with this kinda attitude till they told me later during lunch. This I encountered personally. The lady was about to deliver champagne (nice gesture though!) and we had just completed the morning ceremony. We were going down for lunch so I asked if she could deliver it later. She was very exasperated and asked frustratedly why can't she just deliver it there and then. (eh, cos the champagne won't be cold?). Super rude attitude. After this, I immediately asked to talk to my coordinator, the front office manager (which surprisingly turned out to be my hospitality junior back in poly) and the manager in-charge that day. I raised all the concerns I had and the bad service I faced that day (didn't bring up the previous unhappiness lah. only the day itself). I spoke very plainly and directly that I didn't appreciate the service I had encountered so far. They assured me that they would rectify that. For the dinner portion, I have to admit, things went well. (there were feedback that service was slow at the tables and refills took a while but that's pretty common at weddings I felt). I would recommend all couples to voice out should they feel unsatisfied. Pro-tip by one of my bridesmaids Carrie. She mentioned to voice out so that they can rectify instead of keeping quiet and voicing it out at the end of the wedding where nothing can be done. All in all, would I still have my wedding at Orchard Hotel if I had a second chance? I am not so sure. We had chosen Orchard Hotel cos of the food. The food was good in our opinion and so far most feedback from our guests also indicated so. However, the hiccups and the bad service just made it unsatisfactory especially the rude service staff. Hopefully it was only because they had many weddings that day and the hotel staff were frazzled. I did enjoy my wedding dinner however I am not so sure if I would recommend the hotel anymore. Well, this is my honest review of my wedding dinner at Orchard Hotel. Hopefully my case is just one in a million! 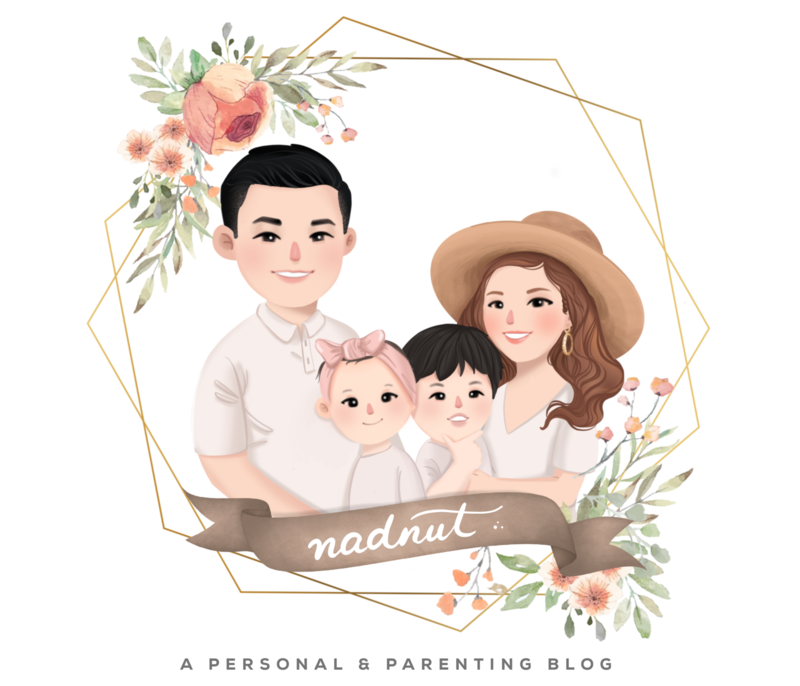 Posted in #nadskai1314, #project1314, Hotel, Singapore Lifestyle Blog, Singapore Wedding Blog, Wedding, Wedding Dinner. Tags: #nadskai1314, #project1314, Bad Service at Orchard Hotel, Bad Service Orchard Hotel Wedding, blog, Blog on wedding preparations, Disappointing Orchard Hotel Wedding, Hotel wedding, nadnut, nadnut rom, nadnut wedding, Orchard Hotel Singapore, Orchard Hotel Singapore Wedding Package, Orchard Hotel Wedding, Orchard Hotel Wedding Dinner, Orchard Hotel Wedding Review, Orchard Hotel weddings, SG wedding, Sg wedding blog, singapore lifestyle blog, Singapore Wedding Blog, Singapore wedding blogger, Wedding Blog, Wedding in Singapore on April 5, 2014 by nadnut.